We are always on the go, as a matter of fact this week we are on a South Georgia Adventure. So for us on the go breakfast items are a must. But finding easy, healthy breakfast items can be quite a task. These Paleo Egg Muffins are what we normally take with us on the go. But thanks to a recommendation from my mom we now have another healthy on the go breakfast item. These can be made in advance and eaten cold or popped into the microwave for a few seconds before heading out the door. The kids absolutely love them and can easily devour an entire batch in one morning. 2. In a bowl, sift the flour, baking powder, cinnamon and salt together. 3. In a separate bowl, mix maple syrup, vanilla, applesauce, and milk. 4. Slowly pour 1/2 of the liquid mixture into the dry mixture. Continuously mix until all the lumps are out of the batter. And more liquid as necessary being careful not to make it too runny or too thick. 5. 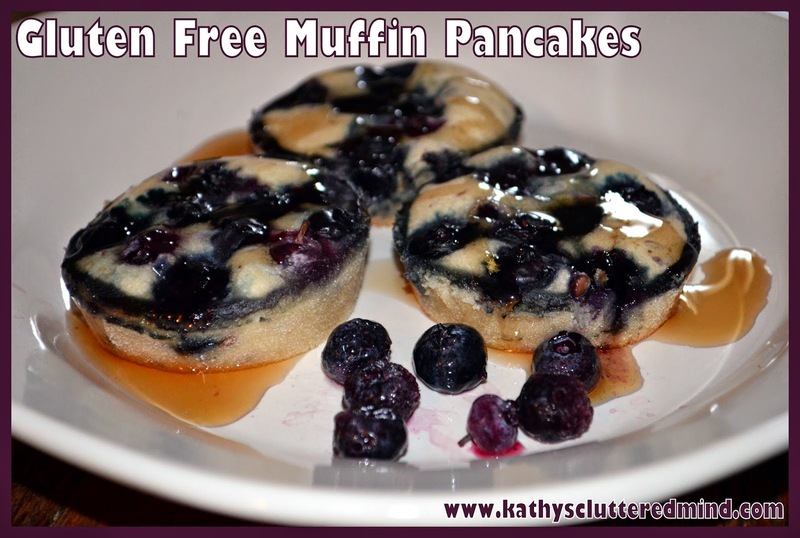 Pour the batter into a 12 cup muffin pan (I use this silicon muffin pan and get great results). If you are not using a silicone pan be sure to grease the cups or use paper liners. Top with your favorite topping (blueberries, chocolate chips, strawberries, raisins, cooked bacon, etc). 6. Bake for about 15 - 18 minutes. Check with a toothpick to make sure they are done.